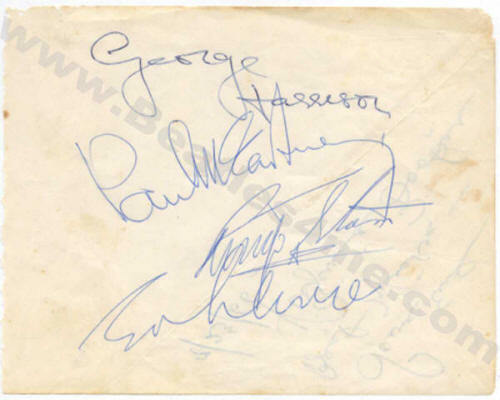 Beatles 1964 Autograph Set for Sale! Back was autographed by another British celebrity. Signed in Dark Blue Pen on off-white Autograph Album Page. Slight crease in paper, but Perfect for Matting! Comes with TWO (2) LIFETIME Letters of Authenticity; 1 from Hein's Rare Collectibles and 1 from renowned Beatles Autograph Expert Frank Caiazzo!